Lots of family drama in this one! I admired Morgan for choosing her own path, even though her mother wouldn't approve, and all the hiding/avoiding was pretty funny. Choosing to not shun Dallas is another way she's defying her mother, and the ensuing romance has plenty of sparks. They have a fun relationship even though there is some heartache in the past. Even though Morgan seems strong and confident, she is still influenced by her mother and trying to determine what the right choices for her life are. 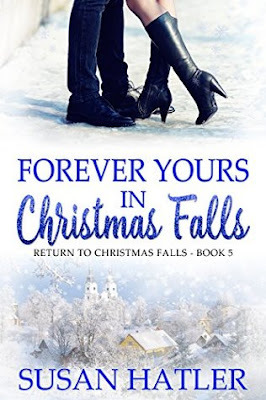 I enjoyed reading this book in the Christmas Falls series!